His funeral was a military affair: his body was covered with a flag, lowered into the grave by his commanding officers and fellow soldiers, and he was honored with a gun salute. Nobody except his friends remembered the guitarist within him. ʿAmer Suleiman was passionate about music. He taught himself how to play guitar before enrolling at the University of Latakia in the agricultural engineering program. Following his graduation, he joined the Banyas Cultural Center, where he studied guitar for two years. Suleiman was loved by his friends and family, who viewed him as a lovable and cultured person. However, he was forced to cut his musical education short, as he was required to join the army six months before the start of the uprising in March 2011. Hailing from Bustan al-Hammam, a small town in a mountainous area of Banyas, Suleiman was drafted as an infantryman and deployed to a neighborhood controlled by the opposition in Qusayr, north of Homs. [Photo: ʿAmer Suleiman - published on 31-3-2013 (Suleiman's Facebook page)]. 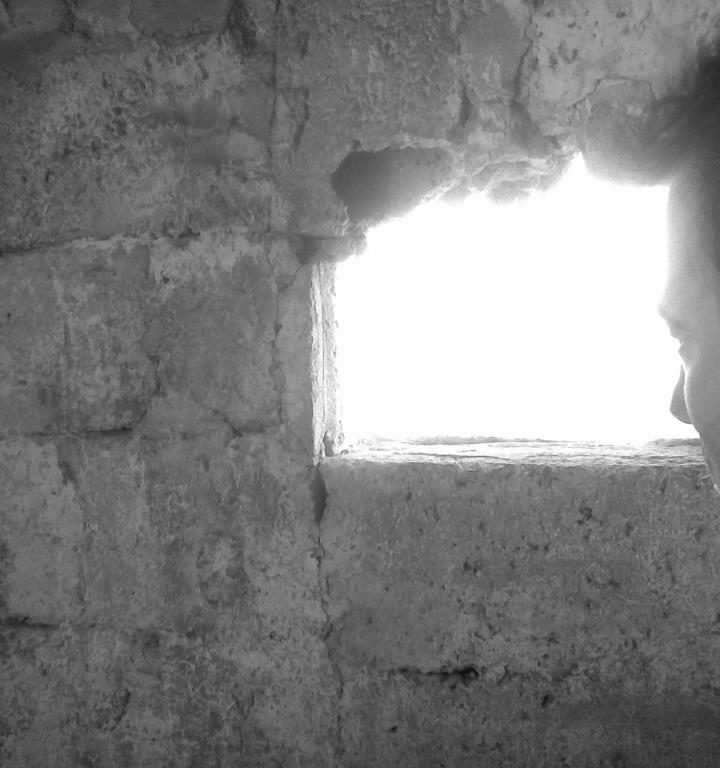 In 2012, Suleiman returned to Banyas, moving frequently between Latakia and Jableh. He found new friends and got engaged to an aspiring fashion designer. They would spend their days singing, drinking, and enjoying their lives. Suleiman and his friends believed in celebrating life, something they would do well even after his death. Suleiman was then forced to return to military service, hoping for a quick discharge in order to continue teaching music and get married. In May 2013, Suleiman was serving in his army division, when around 70 civilians were massacred at the hands of the Syrian army and pro-government militiamen (shabiha) in al-Bayda', nearby Banyas. He called his family and asked they donate money he had saved up to the victims' families and to give his clothes to those displaced from al-Bayda'. Ayham Suleiman, one of ʿAmer’s relatives, said he spoke to him the day he died on May 12, 2013. There had been a security warning and shelling had targeted the military barracks all night as prelude for the massive battle that was to take place in the coming days in Qusayr, between the armed opposition and the regime army supported by Hezbollah. Ayham begged ʿAmer to desert his post, but ʿAmer reassured him that nothing would happen. He then turned off his phone, and slept. While he slept, a shell hit his office and he was killed. When news of his death reached Latakia, shop and cafe owners went to Banyas to attend his funeral. His funeral was a military affair: his body was covered with a flag, lowered into the grave by his commanding officers and fellow soldiers, and he was honored with a gun salute. Nobody except his friends remembered the guitarist within him. To honor him, they gather every year at his gravesite and celebrate as they did while he was alive: with music, singing, and ʿarak. 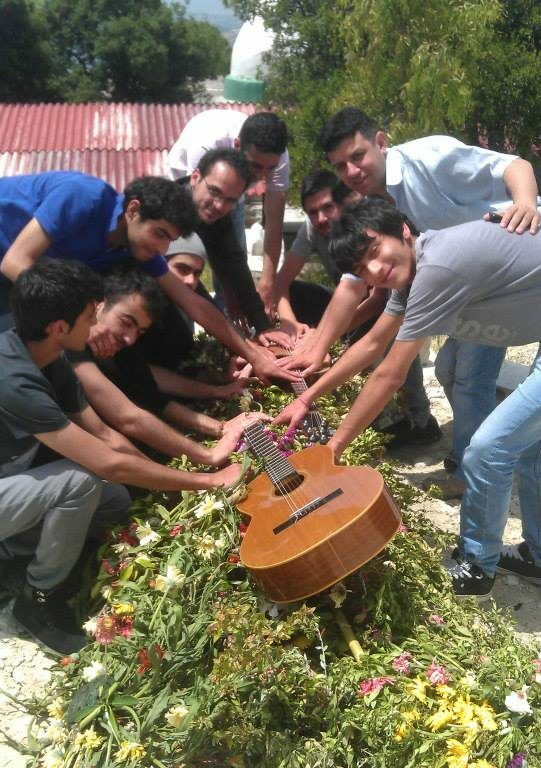 [Photo: Suleiman’s friends around his tomb on the one year anniversary of his death (SyriaUntold)]. 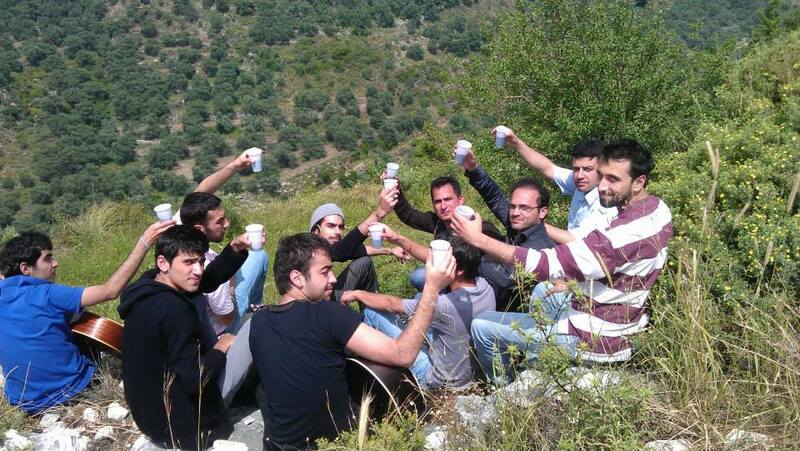 [Photo: Suleiman’s friends toasting in his memory, one year after his death. (SyriaUntold)]. [The main photo is taken from Suleiman's Facebook page. It was published on 3-10-2012].